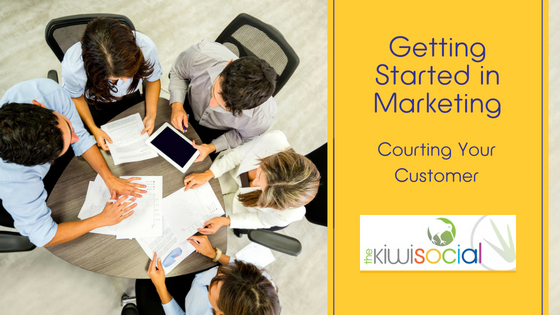 In the previous article, we talked about knowing who your customer is. This article talks about how you court them and persuade them to buy. When courting your customer, you need to understand about the psychology of buying. When people buy quickly, they can offer suffer from buyer’s remorse. Many people research carefully before they buy, especially if it’s an expensive product. Firstly, people identify they have a need. This can sometimes be because they have seen something that has triggered the ‘need’. Or because they have a problem that needs solving. This is the first stage where your marketing can influence their decision. By targeting your ideal customer, you put your message in front of people and can stimulate a ‘need’ to buy. Once they have identified a need, they will research possible alternatives. This is the second stage where your marketing should work well. With creative and innovative marketing, you can make your product / service stand out in the market. Once customers have researched a product / service, they will decide about which one they will buy. Your marketing here should have identified your unique selling points, what makes your product / service the one to choose. Finally, they will buy – and your marketing’s call to action should make that easy for them. Whatever product or service you are offering, there will be others offering something similar. With the ease of research and buying created by the internet, your marketing message must work harder to make you stand out. We can learn a lot from how large companies treat their customers. Apple have built one of the most successful companies in the world by courting their customers. Firstly, they created something that people wanted – the iPod – then they made people proud of owning one. Apple wasn’t the first company to create a digital music player – but they were the most successful. Buying an iPod became a lifestyle statement and Apple put as much emphasis on the design of the packaging as they did on the product. Since then they have continued to innovate and bring exciting new products to the market. Their emphasis on customer service, with their Genius bars, and the cool modern design of their stores has attracted increasing numbers of customers. Our next article is on Planning for the future.